Donald Trump will soon present demands for a revised trade pact. Uncle Sam’s size gives it leverage, but America’s neighbors have been seeking out partners in South America and Europe. This could benefit firms like Adecoagro in Argentina and Germany’s Oetker over U.S. rivals. 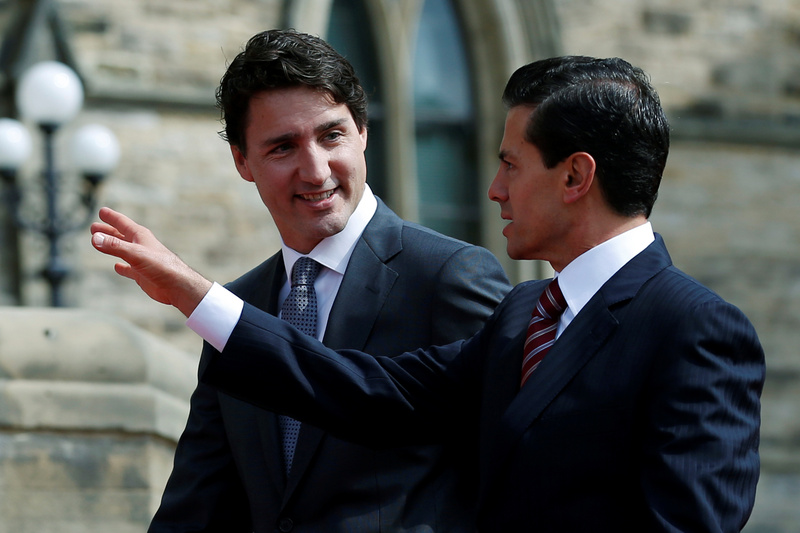 Canada's Prime Minister Justin Trudeau (L) walks with Mexico's President Enrique Pena Nieto on Parliament Hill in Ottawa, Ontario, Canada, June 28, 2016.